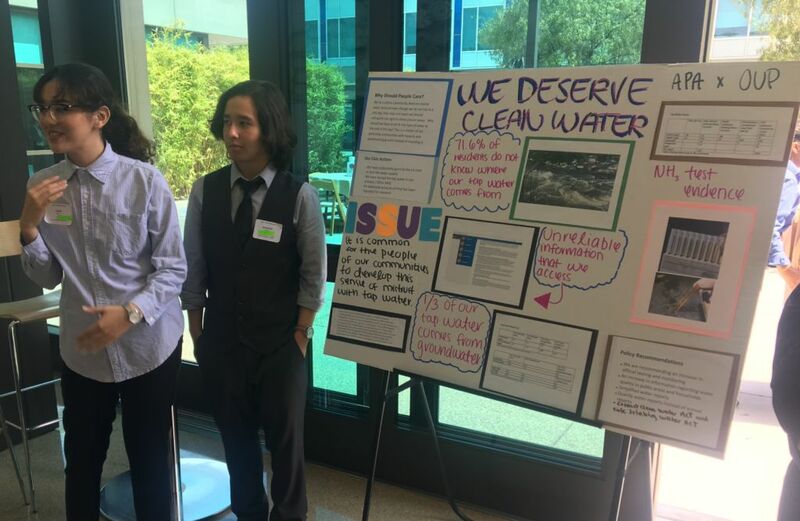 In 2013, LA Waterkeeper (LAW) partnered with UCLA Institute of Environment and Sustainability (IoES) on an EPA Urban Waters Small Grant to develop a teaching curriculum for high school students at Jefferson High School in south Los Angeles to conduct a neighborhood-scale assessment of industrial sources of pollutants in Compton Creek. Students gained research skills as well as fieldwork-based experience to understand and track urban drainage systems. Also funded by an EPA Urban Waters Small Grant in 2016, the Constitutional Rights Foundation (CRF) joined with LAW and UCLA IoES to form a unique partnership between scientists, public policy professionals, and educators. Together, they created the Urban Waters Civic Action Project (UWCAP) to educate and empower high school students in highly industrialized urban areas in LA County. LAW also advocates for pollution prevention, species protection and ample water supply. Programs developed by LAW aim to conserve, protect, and restore marine and watershed environments.